Professor Sir Stephen O’Rahilly talks about the metabolism, endocrinology and bone research at the NIHR Cambridge BRC, in particular the work in Type 1 diabetes. Poor management of blood sugar levels for people with diabetes can lead to serious health complications such as kidney disease, heart disease or eyesight problems. Cambridge researchers from the Metabolic, Endocrinology and Bone research theme collaborated with our Women’s Health and Paediatrics theme to develop a world-leading artificial pancreas system (a continuous glucose monitoring device) for people with type 1 diabetes. The system uses smartphone technology to communicate with an insulin pump and a continuous glucose monitor. The system calculates and delivers the correct amount of insulin needed at any particular time, therefore cutting out the need for injections, improving glucose control and reducing the risk of hypoglycaemia (low blood sugar). The continuous glucose monitor is worn 24/7 meaning that blood sugar levels are continuously measured including through the night leading to less disturbed sleep patterns. More than 150 children and adults have trialled the device and compared it with the best available therapy in diabetes clinics internationally, including the UK, Germany and Austria. 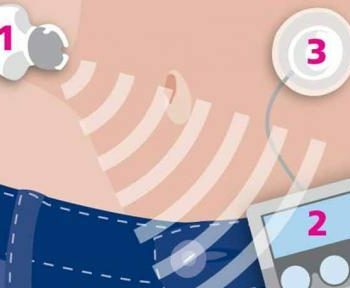 Longer-term trials are ongoing, testing the artificial pancreas in newly diagnosed children and adolescents and young children aged 1 to 7 years old.